On September 11, 2018, Cozen O’Connor’s Product Liability Prevention and Defense (“PLPD”) blog provided a quick reference guide that manufacturers can consult to MAN UP on defenses when hit with a claim under Chapter 82 in Texas. Hayden; Don’t Find Yourself a MAN DOWN: Manufacturers Can MAN UP With Defenses to the Texas Products Liability Act (2018) (last visited October 8, 2018) (“Man Up”). This posting serves as a sequel to Man Up by shifting the discussion to the seven exceptions that may hold a seller liable and relieve the manufacturer of some or all liability (“Man Down”). 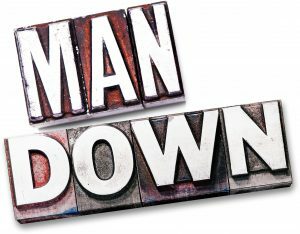 Although Man Down will focus on exceptions to a seller’s presumed innocence that may find sellers a MAN DOWN, Man Down is applicable to manufacturers as well given that under Texas law, all manufacturers are also sellers. Gen. Motors Corp. v. Hudiburg Chevrolet, Inc., 199 S.W.3d 249, 256 (Tex. 2006) (holding all manufacturers are also sellers, but not all sellers are manufacturers). In Man Up, we explained that Chapter 82 of the Texas Civil Practice and Remedies Code was created to heighten the duties of manufacturers in a products liability action. The effect of this heightened burden acts a shield to sellers who can seek protection under Chapter 82 unless one of seven exceptions is established. Tex. Civ. Prac. & Rem. Code § 82.003(a). Notably, for manufacturers, it is the plaintiff bringing a products liability claim against a non-manufacturing seller who has the burden to establish an exception to the seller’s statutory protection. See id. § 82.003(a); In re Atlas Tubular, LP, 296 S.W.3d 363, 365 (Tex. App.—Corpus Christi 2009, orig. proceeding). Below is an outline to the seven exceptions to Chapter 82 that manufacturers should be familiar with that may cause sellers’ presumed innocence to be pierced such that sellers may find themselves a MAN DOWN. A seller’s protection from liability under Chapter 82 can be pierced if the plaintiff can prove that the seller altered or modified the product and the plaintiff’s harm resulted from that alteration or modification. Tex. Civ. Prac. & Rem. Code § 82.003(a)(2). In Howard v. Lowe’s Home Centers, LLC, 306 F.Supp.3d 951 (W.D. Tex. 2018), Howard sued Lowe’s to recover damages arising out of, among other things, a broken Whirlpool refrigerator. Id. at 954. Howard bought the refrigerator from Lowe’s that Lowe’s sold, delivered, and installed. Id. Howard filed a products liability action against Lowe’s, alleging that the broken refrigerator caused a variety of personal injuries and property damage: Howard lost money on spoiled food; her replacement cooler leaked water, damaging personal property; an unspecified event involving the fridge caused a shoulder injury that limited her ability to work; her elderly mother fell near the fridge and injured her head; and Howard experienced mental anguish related to these injuries and losses. Id. Lowe’s filed a motion for summary judgment on Howard’s Subchapter 82.003(a)(2) claims. Id. at 957. In response, Howard claimed that “any of Lowe’s handling [of the product] could have made the malfunctions exist.” Id. The court noted that “Howard’s conjectural phrasing underscores the fact that she cannot trace the refrigerator’s defects to any alteration or modification made by Lowe’s,” further noting that “Howard speculates that the refrigerator’s malfunction ‘could only have been caused’ while the unit was in Lowe’s possession or control, ignoring the possibility that it was defective when Whirlpool delivered it to Lowe’s.” Id. Lowe’s denied that it altered or modified the unit. Id. The court held that not only did Howard have no evidence that Lowe’s altered or modified the unit, Howard did not even allege that Lowe’s did so. Id. Accordingly, the court held there was no material factual dispute about whether Section 82.003(a)(2) applies and granted summary judgment in favor of Lowe’s. Id. at 958-59. In Kirby v. Smith & Nephew, Inc., Cause No. 3:15-CV-2543-L, 2017 WL 661373 at *7 (Feb. 17, 2017), the plaintiff alleged detailed factual allegations in her lawsuit that the seller changed the design of the product by removing a metal liner and other parts from the approved system and then distributing them for profit in an unapproved, illegal combination along with other component parts of the manufacturer. Id. The plaintiff further made specific allegations that she suffered harm as a result of the seller’s actions. Id. Based on the allegations in the plaintiff’s petition, the court concluded that the plaintiffs alleged a plausible claim for recovery against the seller under the Texas Product Liability Act. Id. The court further held that since there was a reasonable basis to predict that the plaintiff could recover against the seller under Subchapter 82.003(a)(2), the plaintiff’s petition was sufficient under the federal pleading standard to state a claim. Both manufacturers and sellers should realize that as long as a plaintiff alleges a plausible claim for recovery with sufficient detail, Texas courts will allow allegations under the exception in Subchapter 82.003(a)(2) to survive a motion to dismiss. If allegations under Subchapter 82.003(a)(2) survive a motion to dismiss, manufacturers should drill down on what the seller’s involvement was in modifying or altering its product as a way to apportion liability to sellers. Sellers should proceed with caution in participating in altering or modifying a product—they may find themselves a MAN DOWN if the plaintiff can prove its damages resulted from the seller’s alteration. In Man Up, we explained that for a component-product manufacturer to be subject to a duty to indemnify a seller in a products liability suit, the claimant’s pleadings must include an allegation of a defect in the component itself, not merely a defect in the seller’s product of which the component was part. See Man Up (citing General Motors Corp. v. Hudiburg Chevrolet, Inc., 199 S.W.3d 249 (Tex. 2006); R.H. Tamlyn & Sons, L.P. v. Scholl Forest Industries, Inc., 208 S.W.3d 85 (Tex. App.—Houston 14th Dist. 2006, no pet.)). By contrast, if the plaintiff’s pleadings allege defects due to a component unrelated to the manufacturer’s product or only to the product as a whole, a component-product manufacturer does not have a statutory duty to indemnify a seller for losses. See Man Up (citing Hudiburg Chevrolet, Inc., 199 S.W.3d at 249; Seelin Medical, Inc. v. Invacare Corp., 203 S.W.3d 867 (Tex. App.—Eastland 2006, pet. denied)). Therefore, if a plaintiff not only alleges that a component part is defective, but can also allege and prove that the seller installed the product, or had the product installed, on another product and the plaintiff’s harm resulted from the product’s installation onto the assembled product, a seller will be found liable for damages under Chapter 82. Tex. Civ. Prac. & Rem. Code § 82.003(a)(3). In Transcontinental Ins. Co. v. Briggs Equipment Trust, 321 S.W.3d 685, 701 (Tex. App.—Houston [14th Dist.] 2010, no pet. ), the Congregation Beth Yeshurun (the “Congregation”) wished to replace lightbulbs in its sanctuary. Because the lightbulbs were approximately forty feet from the floor, a lift was needed. Briggs Equipment Trust (“Briggs”) rented to the Congregation a Genie AWP 40 hydraulic lift with personnel platform (the “Lift”) as well as a “Super Straddle.” Id. The Super Straddle is a frame-like base device on which the Lift can be mounted, enabling the Lift to be used in locations where the floor is sloped or where there are objects fixed to the floor, such as seats. Id. Genie Industries, Inc. (“Genie”) manufactured the Lift and Super Straddle. Id. Briggs filed a motion for summary judgment asserting it was an innocent seller under Chapter 82 and that the exceptions alleged by the plaintiffs under Chapter 82.003(a)(3)-(6) did not apply. The trial court granted Briggs’ motion for summary judgment and the plaintiffs appealed. The Houston Court of Appeals noted that Briggs’ summary judgment evidence showed that the day before the accident, two men from Briggs arrived at the Congregation’s sanctuary and installed the Lift inside the Congregation’s building, equipping the Lift with the Super Straddle. The evidence further included a statement that according to Congregation employees, the Lift and Super Straddle were delivered to the Congregation and assembled by Briggs. Id. at 702. When the Lift was attached to the Super Straddle, the product became defective due to the lack of an electrical interlock system incorporated on the Genie Super Straddle unit to work in combination with the interlock system on the Lift that would prevent the operation of the Lift (raising the mast and personnel platform) without all four outriggers properly installed in the Super Straddle base. The appellate court concluded that there were genuine fact issues as to whether Briggs installed the product (or had the product installed) on another product and the harm resulted from the product’s installation onto the assembled product. Therefore, the appellate court held the trial court erred in granting a dispositive motion under Texas Civil Practice and Remedies Code Subchapter 82.003(a)(3). Sellers should take heed that they may find themselves a MAN DOWN if fact issues exist surrounding who assembled a product under Texas Civil Practice and Remedies Code Chapter 82.003(a)(3). In contrast, sellers can man up with the defense that if they merely assembled a pre-fabricated product according to the manufacturer’s instructions, they cannot be liable to a claimant. Dennis v. Giles Group, Inc., Cause No. No. 04-07-00280-CV, 2008 WL 183062 at * 5 (January 23, 2008) (citing Tex. Civ. Prac. & Rem. Code § 82.002(d))(stating the legislature “could not have intended for a seller who merely assembled the product to be liable to an injured party as a manufacturer but not be liable to a downstream seller for indemnity as a manufacturer.”). If a seller actually had notice of a defect to the product at the time the seller supplied the product and the plaintiff’s harm resulted from the known defect, the seller cannot maintain its presumed innocence under Chapter 82. Tex. Civ. Prac. & Rem. Code § 82.003(a)(6)(A)-(B). Brewer v. Porsche Cars North America, Inc., No. 3:04CV2343M, 2005 WL 292417, at *2 (N.D. Tex. Feb. 7, 2005) (“[The p]laintiffs plainly allege that both [the d]efendants possessed actual knowledge of a defect in the Porsche 911 at the time such vehicles were leased to [the p]laintiffs, and that the defect is the cause of their damages. Consequently, the facts pled in [the p]laintiffs’ [p]etition satisfy the exception to a sellers’ immunity found in Tex. Civ. Prac. & Rem. Code § 82.003(a)(6).”). Although sellers may be liable if the manufacturer is not subject to the jurisdiction of the court under Chapter 82.003(a)(7)(A)-(B), discussed herein, non-manufacturing sellers’ immunity also creates separate jurisdictional issues under Subchapter 82.003(a)(6) that may defeat diversity. The United States District Court for the Western District of Texas has held that inclusion of a non-manufacturing seller defeated removal when the plaintiff asserted one of the indemnity exceptions. See Shields v. Bridgestone Firestone N. Am. Tire, LLC, 502 F. Supp. 2d 497, 501-02 (W.D. Tex. 2005) (finding remand necessary when the plaintiff pled all of the elements needed for a Chapter 82.003 exception against the non-manufacturing seller). The United States District Court for the Eastern District of Texas, however, has reached a different conclusion. In Lott v. Dutchmen Mfg., Inc., 422 F. Supp. 2d 750, 753-54 (E.D. Tex. 2006), the court went beyond the pleadings to find improper joinder when the evidence showed that a non-diverse, non-manufacturing seller did not know about an alleged defect. These competing decisions demonstrate that for a manufacturer in a products liability action, the addition of a non-manufacturing seller may prevent removal. When a plaintiff fails to properly plead an exception to the indemnity provision, however, a manufacturer can man up by utilizing the non-manufacturing sellers’ indemnity obligations and exceptions under Subchapter 82.003(a)(6) to their jurisdictional advantage. Although as demonstrated in Shields and Lott, a plaintiffs’ pleadings may be sufficient to put a seller on notice that the plaintiff will seek to apply the exceptions of Subchapter 82.003(a)(6), at trial, the language of Subchapter 82.003(a)(6) clearly requires actual knowledge of the defect on the part of the seller. Reynolds v. Ford Motor Co., No. Civ.A.5:04CV085C, 2004 WL 2870079, at *3 (N.D. Tex. Dec.13, 2004); McDonald v. Ford Motor Co. and Gullo Ford Mercury, Inc., No. H041537 (S.D. Tex. July 12, 2004). Sellers can avoid being a MAN DOWN by holding plaintiffs to their burden of proof to show the seller had actual notice of the defect. A manufacturing-defect claim alleges that the finished product deviated, in terms of its construction or quality, from the specifications or planned output in a manner that rendered the product unreasonably dangerous. Ford Motor Co. v. Ledesma, 242 S.W.3d 32, 41–42 (Tex. 2007) (citing Am. Tobacco Co. v. Grinnell, 951 S.W.2d 420, 434 (Tex. 1997)). A design-defect claim alleges that there was a safer alternative design that in reasonable probability “would have prevented or significantly reduced the risk of the claimant’s personal injury, property damage, or death without substantially impairing the product’s utility.” Tex. Civ. Prac. & Rem. Code § 82.005; Cooper Tire & Rubber Co. v. Mendez, 204 S.W.3d 797, 807 (Tex. 2006). Designers, beware: if a seller also participates in the design of the product, the seller may find himself a MAN DOWN without protection under Chapter 82, provided the plaintiff can prove same. Tex. Civ. Prac. & Rem. Code § 82.003(a)(1). In Gonzalez v. Reed-Joseph Intern. Co., Cause No. 4:11–cv–01094, 2013 WL 1578475 at *8 (S.D. Tex. April 11, 2013), the plaintiff argued in its complaint that the seller participated in the design of the product and was therefore exempt from immunity under Subchapter 82.003(a)(1). The court pointed out that the plaintiff, however, did not plead Subchapter 82.003(a)(1) with any specificity, but simply recited that all the defendants participated in or various defendants were responsible for the design of the product. The United States District Court for the Southern District of Texas held that the plaintiff failed to plead his claims with “facial plausibility” because his complaint included only “[t]hreadbare recitals of the elements of a cause of action, supported by mere conclusory statements …” insufficient to withstand allegations that the seller participated in the design of the product. Id. Gonzalez should be a reminder that sellers can avoid being a MAN DOWN by showing the allegations under Subchapter 82.003 asserted by a plaintiff must be more than general, broad allegations that lack specificity for plaintiff’s complaint to stand. If a seller makes an incorrect overture about an aspect of the product, the plaintiff relies on the overture in obtaining or using the product, and if the aspect of the product had been as represented, the plaintiff would not have been harmed by the product or would not have suffered the same degree of harm, a seller may find himself a man down. Tex. Civ. Prac. & Rem. Code 82.003(a)(5)(A)-(D). In Briggs, 321 S.W.3d at 702, Briggs introduced summary judgment evidence that a Briggs employee assembled the Lift and told Congregation employees that it was “okay” not to use the outriggers. The Houston Court of Appeals again held that there were genuine fact issues as to the application Subchapter 82.003(a)(5)(A)-(D). Specifically, the court noted that fact issues existed as to whether Briggs made an incorrect overture about the Lift, whether the plaintiff relied on the incorrect overture, and whether if the aspect of the Lift had been as represented, the plaintiff would not have been harmed by the Lift or would not have suffered the same degree of harm. Therefore, the appellate court held that trial court erred in granting the motion for summary judgment under Subchapter 82.003(a)(5). Sellers may wind up a MAN DOWN in proving exceptions apply under Chapter Subchapter 82.003(a)(5) if disputed issues of material fact exist. If a seller exercises substantial control over the content of a warning or instruction that accompanies the product, the warning or instruction is inadequate, and the plaintiff’s harm results from the inadequacy of the warning or instruction, a seller will be found liable under Chapter 82. Tex. Civ. Prac. & Rem. Code § 82.003(a)(4)(A)-(C). Briggs, 321 S.W.3d at 702. According to a report in Briggs’ summary-judgment evidence, a Briggs employee assembled the Lift without the outriggers installed; the Lift was not supposed to operate, but the Lift did operate without the outriggers being installed; and the Briggs employee “felt comfortable with this” and said that it was “okay” not to use the outriggers. Id. For the third time, the Houston Court of Appeals held that under the applicable standard of review, genuine fact issues existed sufficient to defeat summary judgment as to whether Briggs exercised substantial control over the content of a warning or instruction that accompanied the Lift; whether Briggs’ warning or instruction was inadequate; and whether the plaintiff’s harm resulted from the inadequacy of Briggs’ warning or instruction. Thus, Briggs’ motion for summary judgment was overturned due to genuine issues of material fact arising under Subchapter 82.003(a)(4)(A)-(C). Non-manufacturing sellers may find themselves liable under Chapter 82 if they sell a product of a manufacturer who is insolvent or if the manufacturer is not subject to the jurisdiction of the court. Tex. Civ. Prac. & Rem. Code § 82.003(a)(7)(A)-(B). Sellers can avoid finding themselves a man down when a manufacturer is insolvent if the plaintiffs do not plead and prove with specificity the claimed insolvency of the manufacturer. In Hannover, the court held that summary judgment evidence identifying only the distributor or owner of the product’s trademark as insolvent was insufficient to find that the manufacturer was also insolvent. Internat’l Ins. Co. of Hannover SE v. Wal-Mart, Cause No. 13-17-00349-CV, 2018 WL 3655567 at *3-4 (August 2, 2018). Sellers should also realize that their immunity may be waived if the manufacturer is not subject to the jurisdiction of the trial court. Fields v. Klatt Hardware & Lumber, Inc., 374 S.W.3d 543, 546 (Tex. App.—San Antonio 2008, pet. denied). In Fields, a purchaser who was injured when a drain cleaner splashed onto her hands and arms brought a products liability action against the seller and manufacturer. Id. at 544. The manufacturer never answered or appeared. Id. As discussed generally herein, Chapter 82.003 of the Texas Civil Practice and Remedies Code provides that a nonmanufacturing seller of a defective product is generally not liable for harm caused by that product. Tex. Civ. Prac. & Rem. Code § 82.003(a) (West 2011). When the product’s manufacturer is not subject to the jurisdiction of the court, however, Subchapter 82.003(a)(7)(B) permits the plaintiff to proceed against a nonmanufacturing seller. Id. at 545 (citing Tex. Civ. Prac. & Rem. Code § 82.003(a)(7)(B)). Fields sought to prove that because she had served the non-resident manufacturer and the manufacturer failed to answer or otherwise make an appearance in the time required by law, it was conclusively presumed for the purposes of Subchapter (a)(7)(B) that the manufacturer was not subject to the jurisdiction of the court. The trial court agreed with Fields. The law in Texas, however, goes one step further: if the seller, Klatt, can secure personal jurisdiction over the manufacturer in the action, the presumption in favor of the claimant disappears. Id. at 547. “Securing personal jurisdiction” includes proper service and evidence of minimum contacts sufficient to subject the manufacturer to the jurisdiction of the court. Id. at 548. In its traditional motion for summary judgment, Klatt sought to establish that the manufacturer was subject to the jurisdiction of the court. To establish that the manufacturer was subject to the trial court’s jurisdiction, Klatt (1) asserted it had served the manufacturer, (2) offered an affidavit averring the manufacturer’s minimum contacts with Klatt in Texas, (3) insisted that there were no genuine issues of material fact, and (4) contended that summary judgment was proper because it had secured personal jurisdiction over the manufacturer. The trial court concluded that Klatt was immune from liability under Texas Civil Practice and Remedies Code Chapter 82.003 and granted the Klatt’s traditional motion for summary judgment. Id. at 549. The court of appeals affirmed, holding that under Chapter 82.003 of the Civil Practice and Remedies Code, a nonmanufacturing seller can secure personal jurisdiction over a nonresident manufacturer where the seller proves that (1) the manufacturer has been properly served according to the requirements of the applicable laws, including treaty requirements, and (2) the manufacturer established minimum contacts with Texas sufficient to satisfy federal and state constitutional due process requirements. Id. at 549. Sellers can avoid being a MAN DOWN by securing personal jurisdiction over a manufacturer when a claimant does not do so.